All early medieval archaeologists will know about Repton, Derbyshire. The village’s signpost claims its status as the ‘historic capital’ of Mercia. 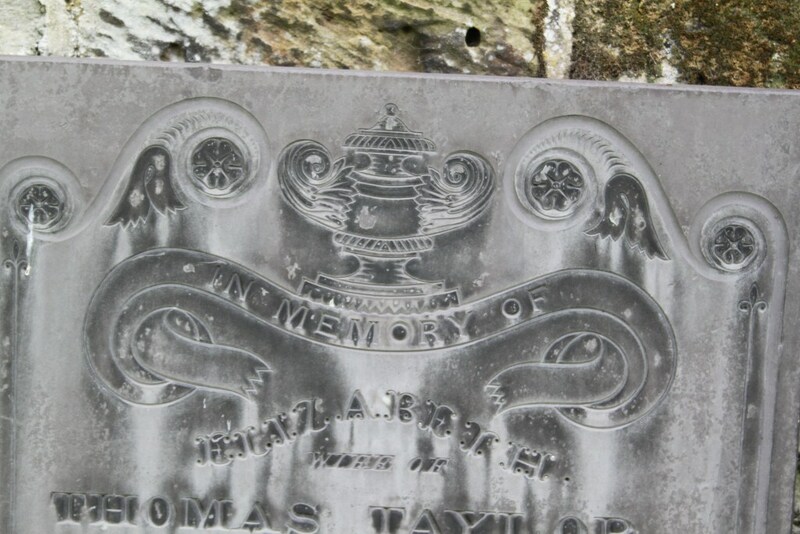 I have long been interested in what Repton can tell us about death and memory in the Anglo-Saxon period, but it comes into its own in relation to my work for the Past in its Place project in which I am especially interested in the role of stone monuments in the commemoration of the early medieval royal and saintly dead and the long-term biographies these relationships institute at particular locales. 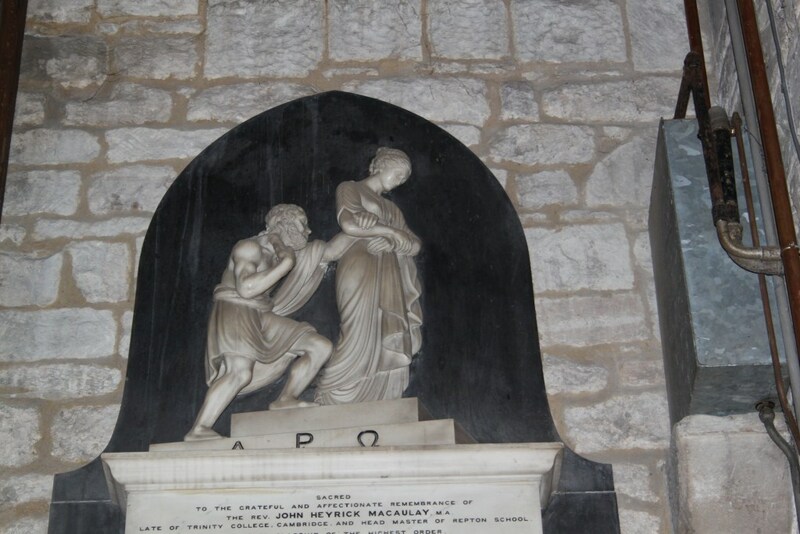 In this context, I felt compelled to revisit Repton to explore its famous Anglo-Saxon crypt and later memorials. My interest here was in exploring the long-term commemoration of the dead at a famous church, both before and after the Vikings made such a famous impact on the site. Repton had been a prosperous monastery for men and women, with a church, two mausolea, and monastic buildings, enjoying an ancient relationship with the kings of Merica’ (Biddle and Kjolbye-Biddle 2001, 84). While the Viking presence at Repton has captured most popular interest (see below), it was the pre-Viking archaeology that drew me here. 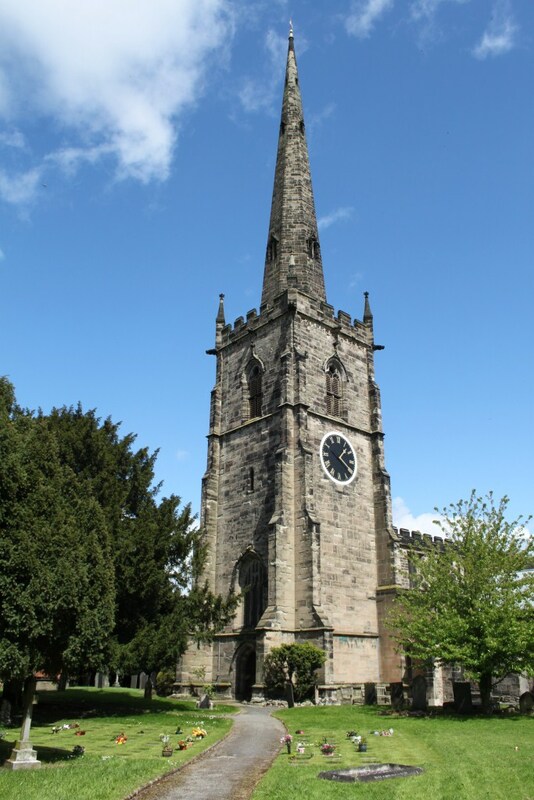 St Wystan’s church at Repton, Derbyshire sits on a prominent bluff on the south side of the valley of the River Trent. In the Early Middle Ages, the river was likely to have been much closer than today. This was a typical location for a prominent wealthy Middle Anglo-Saxon monastic centre, situated in relation to principal land and water routes. The Biddles revealed considerable evidence of pre-Viking activity at Repton, suggesting the site was a royal and monastic focus. 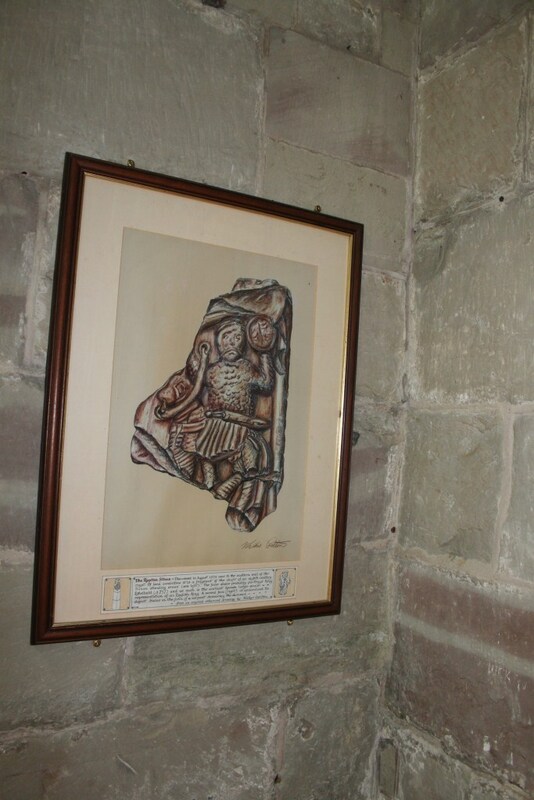 They propose that Repton is being referred to in a gift of land by Friduricus princeps to Haeda, abbot of Breedon. They equate the possibility of a seventh-century foundation with three phases timber buildings before the stone church was built. 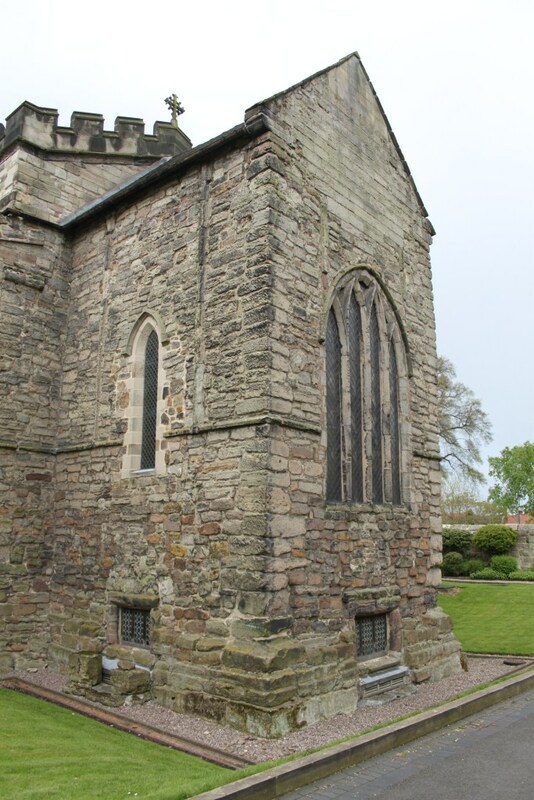 This was a double house for men and women ruled by an abbess but it was also a royal site of burial and saint’s cult. 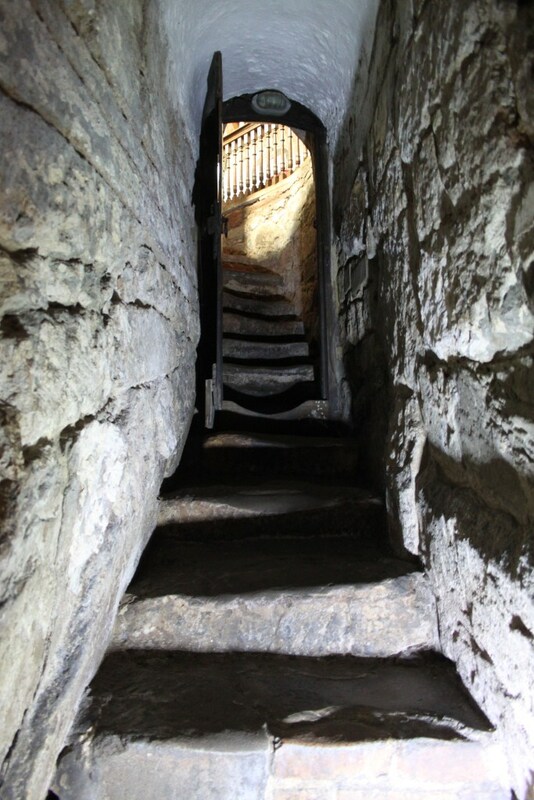 The Biddles revealed a semi-subterranean two cell structure that may have been a mausoleum before it was adopted by the Danes as a burial monument. 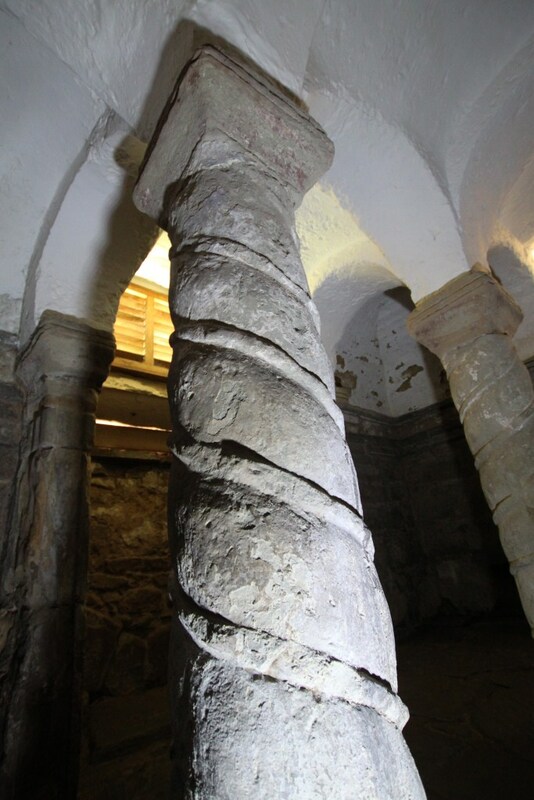 Meanwhile, the crypt – investigated in detail by Harold and Joan Taylor – was originally an eighth-century baptistery before being converted, possibly to house King Aethelbald’s remains. 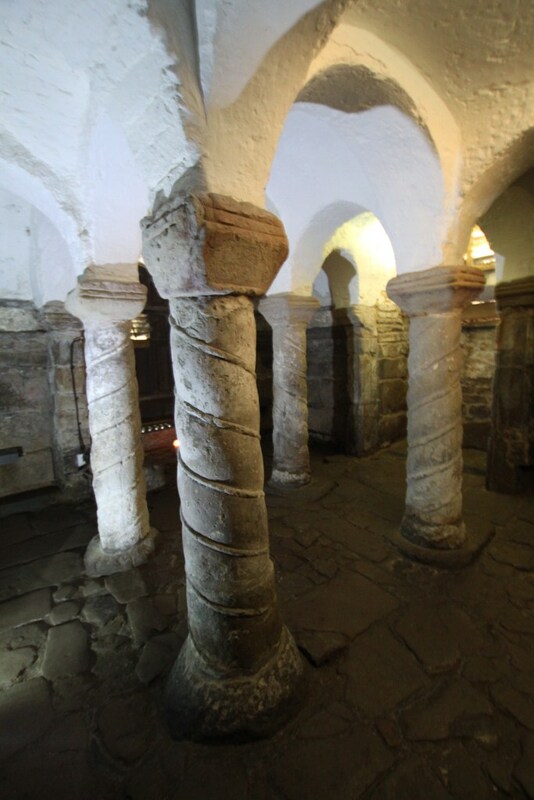 It was converted again to serve as the focus of the cult of the murdered royal child saint, Wystan (Wigstan) with pillars and vaulting added and twin entrances, possibly to facilitate the movement of pilgrims through the crypt. 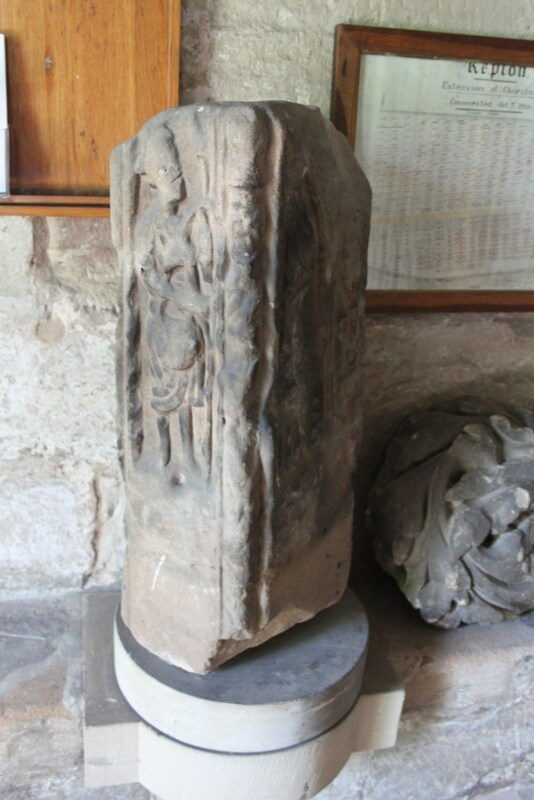 Found in excavations by the Biddles, the ‘Repton Stone’ depicts a crucifixion scene, hell-mouth scene, and mounted warrior-king brandishing a shield and sporting a fine moustache. This is possibly a fragment of a memorial cross to King Aethelbald. 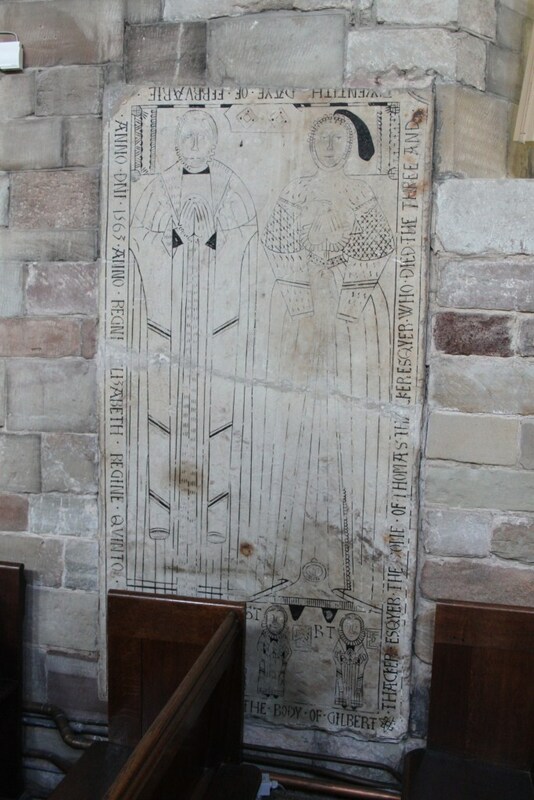 Archaeological evidence suggests that burial continued south and east of the chancel around Wystan’s tomb. Much of my visit involved photographing the marvellous crypt using my digital SLR camera and a superb halogen torch. Here are some of the results. The most famous archaeology relating to Repton relates to the Viking presence but this is surprisingly absent for a visitor and it is also yet to be fully published by its excavators. Still, it seems important to review what is known based on summary accounts published so far. The reference in the Anglo-Saxon Chronicle tells us that the Danish Great Army wintered at Repton from AD 873 to 874. The excavations by Martin Biddle and Birthe Kjolbye-Biddle identified a massive ditch and bank and postulated that it joined the church on either side to the river, incorporated the church into a semi-circular defense that comprised the winter camp. This always brings to my mind the defense of the church by Michael Caine’s German soldiers in The Eagle has Landed. Late ninth-century furnished weapon-graves ‘of Scandinavian type’ were uncovered from the churchyard around the crypt, one of which suffered a painful wound to the inner thigh that may have removed his genitalia. These might be Norse burials associated with the army’s presence and campaign and/or those of Norse descent settling in the vicinity subsequently. Most intriguingly, evidence was found directly west of the church that the two-cell mortuary chapel of Middle Anglo-Saxon date (above) was transformed into a mass-burial of at least 264 disarticulated skeletons (c. 200 men and 50 women) surrounding a single intact burial in a stone coffin beneath a low stone cairn. The Biddles viewed this as a Viking war memorial, possibly focusing on the tomb of Ivar the Boneless. This view remains particularly controversial and a number of archaeologists, notably Julian D. Richards and Dawn Hadley, have explored alternative scenarios. 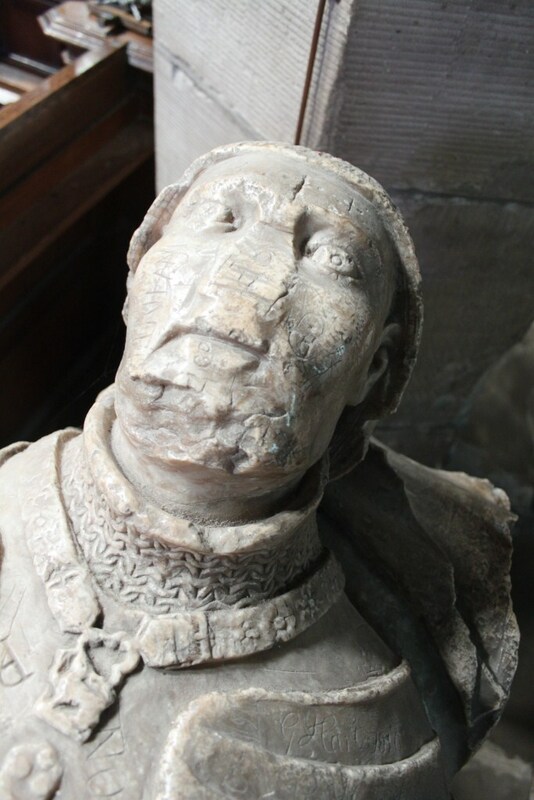 Late medieval knightly effigy with serious graffiti issues. 4km away to the SE, Julian D. Richards’ excavations at Ingleby have provided fresh detailed evidence of a long-known ninth-century barrow cemetery. This is interpreted as a relativley short-lived and unique Scandinavian-style locale for the pagan custom of cremation in operation contemporaneous with the furnished Norse-influenced inhumation graves in the Repton churchyard. Burial subsequently focused on the cairn to the west of the church, some of high-status character. 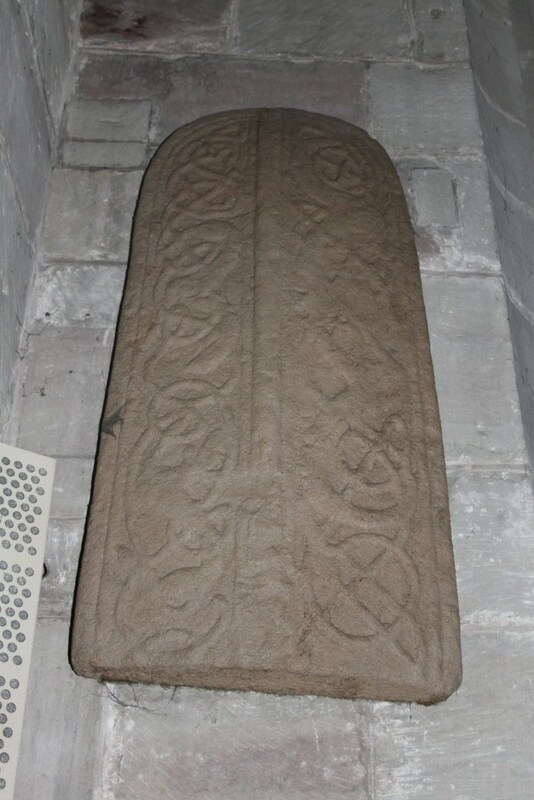 Meanwhile a hogback stone was found west of the church and might indicate an enduring Norse influence in commemorative practice into the early tenth century. While the details of this evidence remain hotly debated and discussed, it is evident that the Viking era brought a radical shift, but also a continued centrality for Repton as a cult centre. What strikes me is that, for the casual, and even for the informed, visitor, the Viking presence is negated, near-invisible, by the weight of memorial culture from before and after their brief interlude. Despite the Danish army’s short and dramatic imposition on the cult centre, continuity seems to have prevailed. 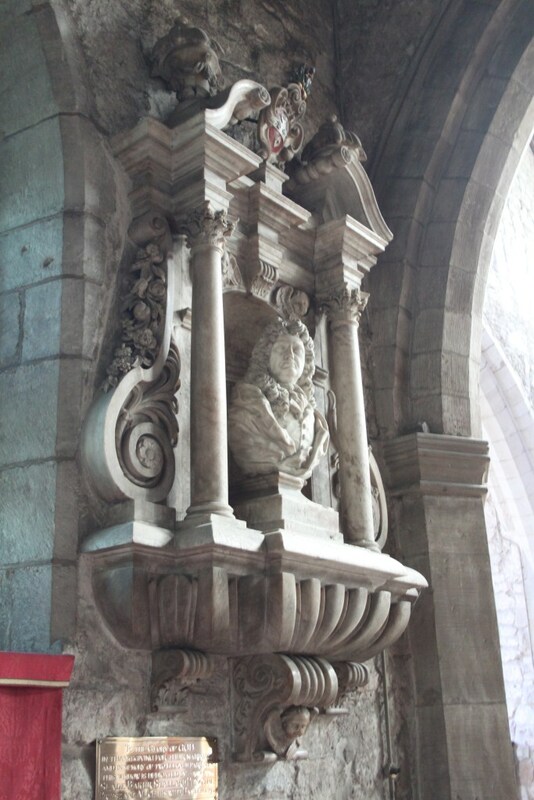 The church retained its focus as a place of Christian burial and worship from the early tenth century to the present day. 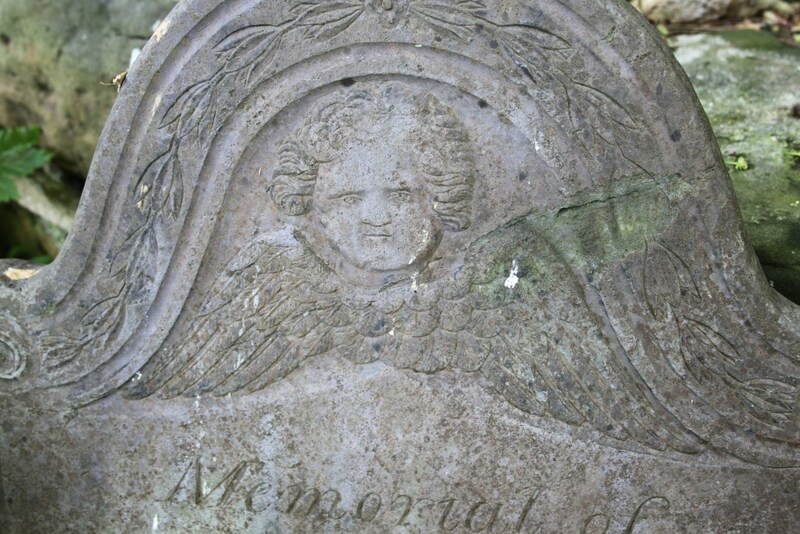 The church and churchyard reveal traces of this long history from its many remains including a medieval male effigy tomb and a fair selection of early modern and late-modern floor and mural monuments. 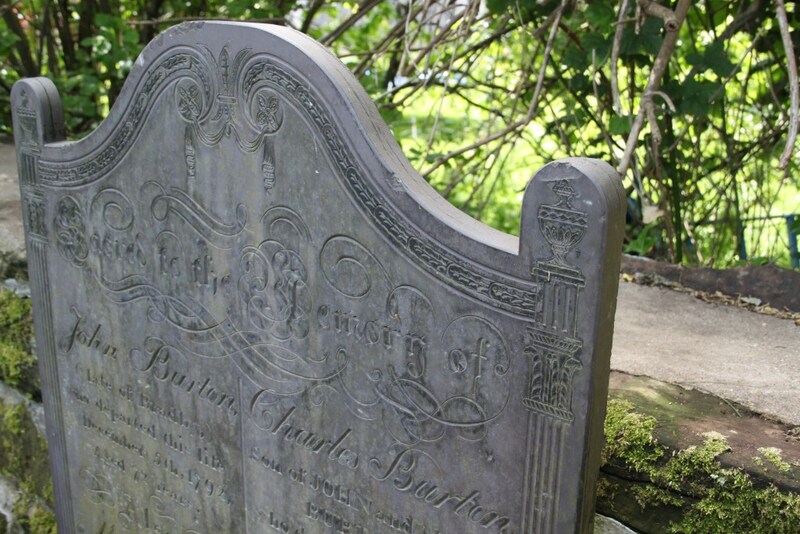 The churchyard has an amazing collection of nineteenth-century slate gravestones, many repositioned along the churchyard boundaries. 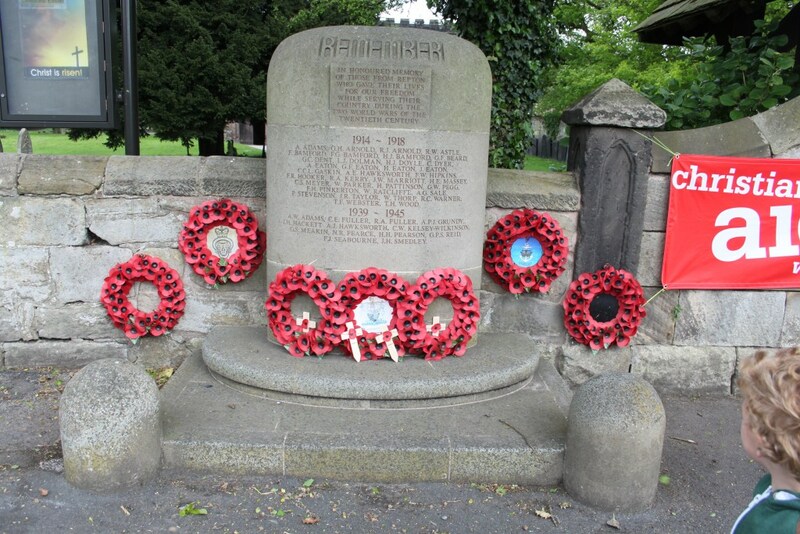 It also possesses a recent garden of remembrance for the interment of cremated human remains. This is a further example of interest to me where the careful selection of location and arrangement makes close connection to the sacred space and the church building in particular. 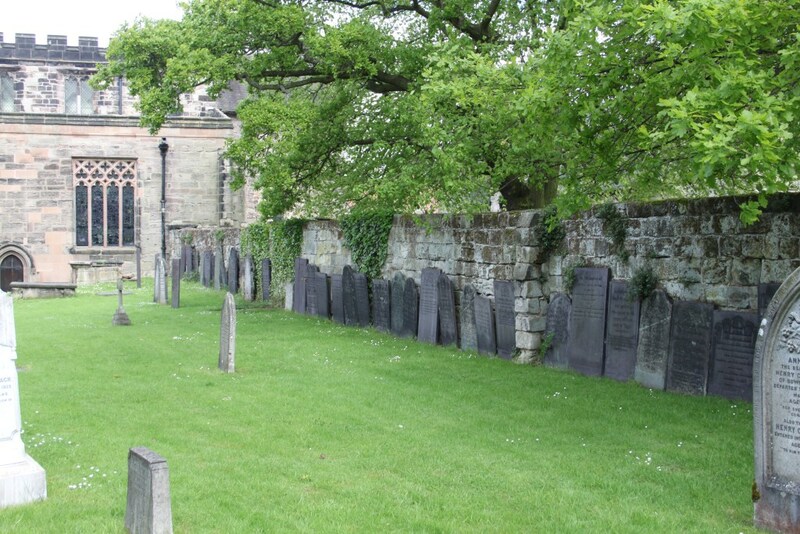 Below are a selection of photographs to afford an impression of the church and churchyard at Repton. Fascinating – as I visited Repton years ago and indeed knew nothing then of its history. Is it too controversial a subject to ask for further comments concerning the enigmatically disarticulated skeletons? In short, Martin Biddle and Birthe Kjolbye-Biddle excavated a semi-subterranean two-cell structure west of the current church, interpreted as a Middle Anglo-Saxon mortuary chapel. Based on antiquarian accounts and their own excavations, they found a male-dominated ossuary that they postulated were the Viking war-dead afforded a collective burial around the grave of one of the Viking war leaders. In other words, they are postulating a royal mortuary chapel of the Mercian kings was reused as a pagan burial mound. Reblogged this on The Baltic Post.